The craggy coastline of Brittany, the sandy beaches of Normandy and the world-famous beauty of the UNESCO-protected Loire Valley make North West France an incredible location for a camping holiday. And the best bit about it? Well, it's just a short hop across the Channel. So pack the tent and load the car; what are you waiting for? Going on holiday in Europe doesn’t get much easier than camping in North West France. You can pack up the car, hop on a ferry and, in no time at all, be pitching your tent and enjoying the view. And if pitching the tent sounds a bit too much like hard work, how about glamping in this beautiful region instead? Our nearest neighbour does a great line in camping and glamping sites and we’ve scoured the North West to find the best ones for the Cool Camping collection. 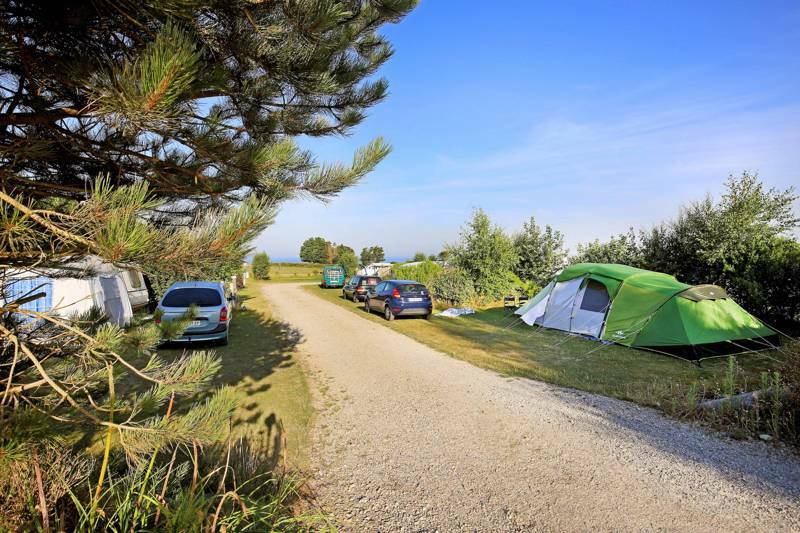 You’ll find coast and country campsites in Brittany and Normandy, laid-back beach sites on the sandy shores of the Atlantic west coast, sites along the beautiful Loire Valley and even a few campsites near Paris to choose from. 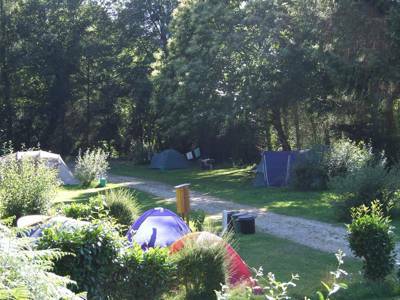 There’s plenty to see and do during a camping holiday in North West France too. You can walk, run, swim, horse-ride, kite surf and more on the north and west coasts and spend days exploring the hiking trails through the region’s natural parks – there are four in Normandy alone. Historic sites abound from medieval Mont St Michel to the D-Day Beaches, the Bayeux Tapestry to the châteaux of the Loire. And that’s not to mention France’s unforgettable capital, Paris, with all the sights and sounds of one of the world’s best-loved cities. France embraces camping wholeheartedly and, as a result, there seems to be an endless number of classic campsites across the country. We’ve spent years checking out French campsites for our Cool Camping guides to France and think we have a pretty good idea of what makes a special site. We’ve found plenty of them in the North West. 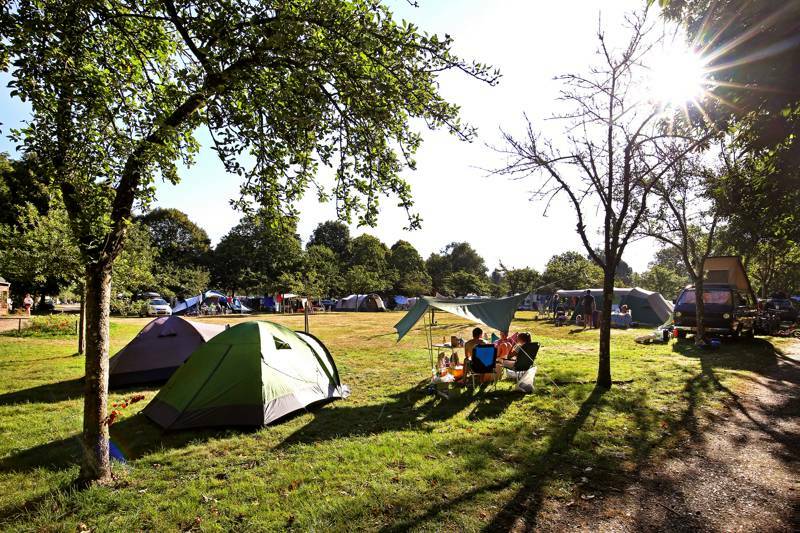 There are beachside campsites where you can step straight out of your tent on to sand, there are campsites on lake and riversides and there are campsites in idyllic countryside. There are a few places you can pitch your tent on the outskirts of the Paris for what must be one of the best-value city breaks and then there is the north-west speciality of châteaux campsites; places you can pitch your tent in grounds that are fit for nobility. 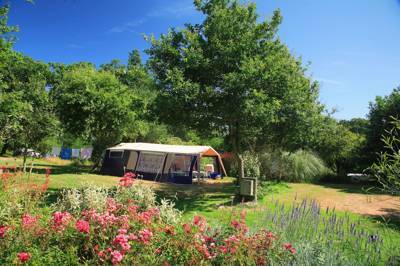 Classic back-to-basics camping offers self-sufficiency, adventure and an eco-friendly approach to holidaying in France. And on top of all that it’s great value too. You can literally take a car-load if you drive yourself there. Pack up the tent, pile in the family and cross the Channel by tunnel or ferry from Dover, Portsmouth or Plymouth. 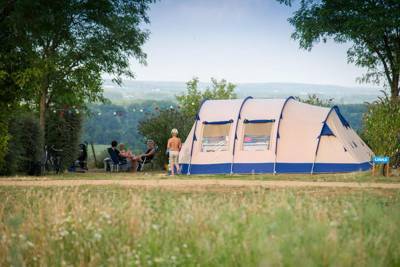 By choosing camping in North West France, once you’ve hit French soil you won’t have too long a drive until you reach your destination and can start enjoying yourself. 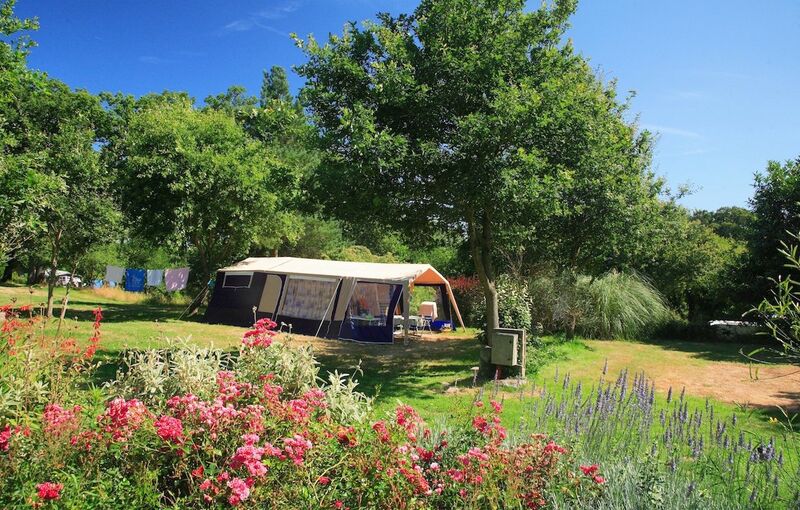 If you don’t have your own tent but fancy trying camping on the continent, how about a spot of glamping in North West France? There are lots of sites where you can hire a pre-erected luxury tent so you can just turn up and settle in without having to do any of the hard work yourself. 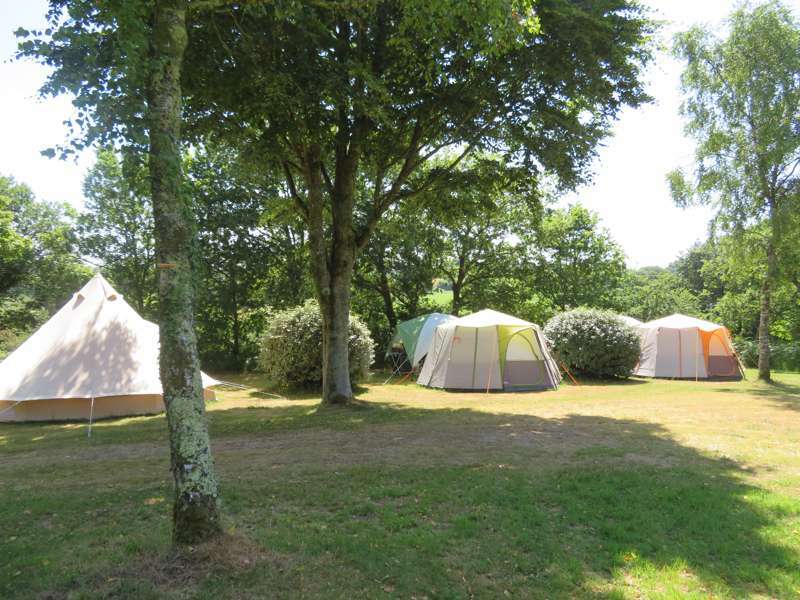 Bell tents, yurts and tipis are the mainstays of glamping sites and, in France especially, safari tents are popular too. Modern geodesic domes are a kind of half-way between canvas and the more solid cover of a cabin or chalet. For more luxury, more space and often more mod cons you might like to try a cabin, roulotte (gypsy caravan) or shepherd’s hut. There are plenty of glamping sites with these and some with more quirky options too. At Cool Camping we tend to favour smaller, independent glamping sites. You’ll find plenty of those in our hand-picked selection of camping and glamping sites in North West France, but we do make an exception and include bigger sites if they have something special about them. Huttopia campsites fall in to this category. 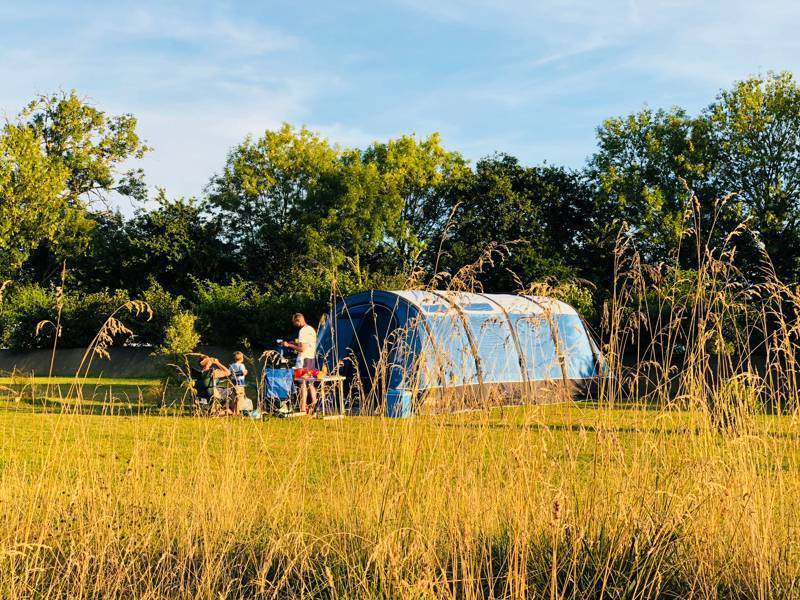 Although Huttopia owns and operates a large number of camping and glamping sites they retain the ethos of a classic campsite and offer accommodation and facilities that blend in with the natural surroundings of their sites. Huttopia glamping accommodation includes safari-style tents, roulottes and wooden cabins on sites with the facilities and activities you’d expect from larger sites. Normandy is a big hitter when it comes to the most-famous sights of North West France which makes it a great place to base yourself to see the highlights. It’s home to the much-photographed tidal island of Mont St Michel with its cobbled streets and medieval monastery a mile off the coast. It’s also where you’ll find the D-Day beaches and associated Second World War sites. The historic village of Bayeux and its ancient tapestry are found here along with Monet’s garden at Giverny and Rouen, the city where Joan of Arc was executed. You could spend all your days on a mad dash of these world-class historic sites or you could just relax and take things a little easier: Normandy is also classic walking country and it’s popular with horse riders too. The long sandy beaches, regional parks and banks of the River Seine are ripe for exploration and talking of ripe – did we mention that Normandy is also where a number of well-loved French cheeses are made? Camembert is the best known and goes perfectly with one of the region’s other exports, Calvados apple brandy. Brittany is Normandy’s western neighbour – a peninsula in France’s far north west with a rocky coastline. It’s directly south of western England and there are ferry services straight to the region from Portsmouth and Plymouth. The historic city of Saint Malo with its picturesque old town and cobbled streets is a favourite place for visitors. This north-west department has a staggering 1,700-mile long coastline so it’s no surprise that it is associated with all things maritime. Brittany’s port city of Brest sits in Europe’s largest harbour and is home to the national navy museum and other maritime sights. Brittany also has the highest concentration of lighthouses in the world – many of which you can climb for stunning views including those at Pointe St Matthieu. South of Brest, some of the most beautiful stretches of coast fall in the Armorique Regional Natural Park where the terrain is perfect for mountain biking, hiking and horse riding. Inland, there’s more natural beauty at the Forest of Brocéliande, where legends of King Arthur are based. The west coast of France is known for its sandy beaches and while they may get a bit more weather than the sheltered Mediterranean, they have the advantage of being more accessible from the UK and perfect for surfing and other watersports. There are campsites all along the coast and we’ve picked out the best to feature in our collection of campsites in western France. But if you’re keen to get to a sandy French shore that’s not too far from home, you’ll want to stick with the North West and there are some great destinations. Brittany’s rugged coastline protects some fantastic sheltered coves but for long sandy beaches head a little further south in to the Loire-Atlantique area where you’ll find miles of sand at beaches including La Baule-Escoublac and Noirmoutier, a tidal island off the coast. But it’s not only sun-worshippers who love this stretch of coast, nature-fans will love it too with great bird watching at Briere Regional Natural Park and on the island of îl d’Yeu. 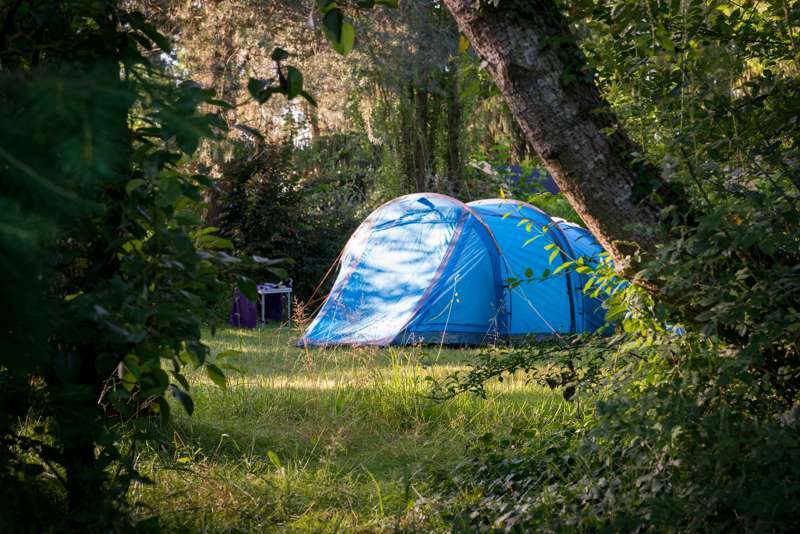 UNESCO say the Loire Valley is an “outstanding cultural landscape of great beauty”, wine connoisseurs say it’s vineyards are world class, we say it’s perfect for camping. The Loire is the longest river in France with its source in the highlands of the Massif Central some 600 miles away from the estuary at Saint Nazaire on the Atlantic Coast. But it’s in the North West that the Loire Valley proper can be found: the 300-mile stretch between Sully-sur-Loire and Chalonnes is the part that UNESCO has listed as a World Heritage Site and it’s the beautiful châteaux such as Chateaux de Chambord that are the main event. A camping or glamping holiday in the Loire will give you the chance to visit vineyards and châteaux and make the most of the stunning riverside countryside which is best enjoyed on foot or by bike. Historic Orléans, the city saved by Joan of Arc, and Amboise, where Leonardo da Vinci lived at the end of his life, are other popular places to visit in the Loire Valley Region. 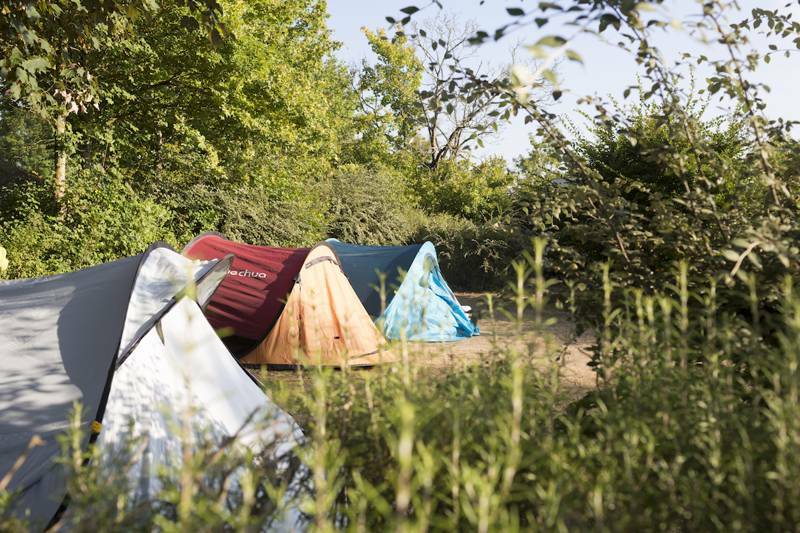 The French capital hardly needs an introduction but the idea of camping near Paris might. It’s a city break with a difference. Instead of paying to stay in an expensive hotel, you can take yourself off to a green retreat and wake up to birdsong before days of city sightseeing. After wandering the bustling streets and climbing the Eiffel Tower or admiring the artworks at The Louvre, a short drive or train ride can whisk you back to one of the campsites near the city. You can visit Notre Dame and cruise on the River Seine before returning to your base to eat al fresco and sleep under canvas. For couples looking for a great-value way to visit one of the world’s most-romantic cities, a campsite near Paris is a winner. It’s also a great way for families to visit the French capital as you can alternate days of sightseeing with days by the pool. For information on things to do in the city, visit the official Paris tourist information site. 1. Spot a château. Feast your eyes on the sight of turreted châteaux in stunning countryside on the banks of the Loire and you’ll soon start to understand why the Loire Valley is so well loved. 2. Climb a lighthouse. Brittany’s lighthouses are a classic symbol of the region. With so much rocky coastline it’s no wonder that there are more lighthouses clustered here than anywhere else in the world! 3. Immerse yourself in art. Whether you spend the day at Monet’s house and gardens in Giverny, visit Leonardo da Vinci’s former home in Amboise or see masterpieces at the Louvre, you’ll find your fill of art in North West France. 4. Pay your respects. The D-Day beaches at Normandy where allied troops landed in June 1944 to begin the liberation of Europe during the Second World War are a moving place to visit. 5. Mess about in boats. Two of France’s best-known rivers, the Loire and the Seine, flow through North West France. Whether you fancy kayaking down a tributary or hopping aboard a cruise, there’s nothing quite like messing about in boats. 6. Head to the beach. There are some beautiful sandy beaches on both the north and the west coasts – perfect for sunbathing, sandcastle-building, swimming and watersports. 7. Explore medieval France. North West France is peppered with well-preserved medieval towns and villages so stop off and explore – Mont St Michel, off the Normandy coast, is perhaps the most picturesque. 8. Go for a walk. The coast of Brittany, the beaches of Normandy, the banks of the Loire, the streets of Montmartre in Paris. Nothing beats exploring on foot in these special parts of North West France. 9. Taste regional specialities. Oysters from Cancal, tarte tatin from the Loire Valley and camembert from, well, Camembert... you can start enjoying French regional specialities as soon as you step off the boat. 10. Try the local tipple. The Loire Valley is known for its wines and the Calvados region is famed for its apple brandy. Visit a vineyard, wine cellar, brandy distillery and try the local tipple or sample juice from the fruits of the land. North West France at Campsites in North West France, Catching the ferry to France? Browse the best campsites in North West France with this collection of camping and glamping locations, all specially chosen by the authors of the best-selling Cool Camping France guidebook.